The Coppers Classic Adult Musician Scholarship was established in 2016 with generous donations from the clinician, musicians and audience members at the event concert. The fund provides one full award of the registration for Coppers Classic to an adult attendee residing in Area 10. The Coppers Classic Full Time Student Musician Scholarship was established in 2016 with generous donations from the clinician, musicians and audience members at the event concert. 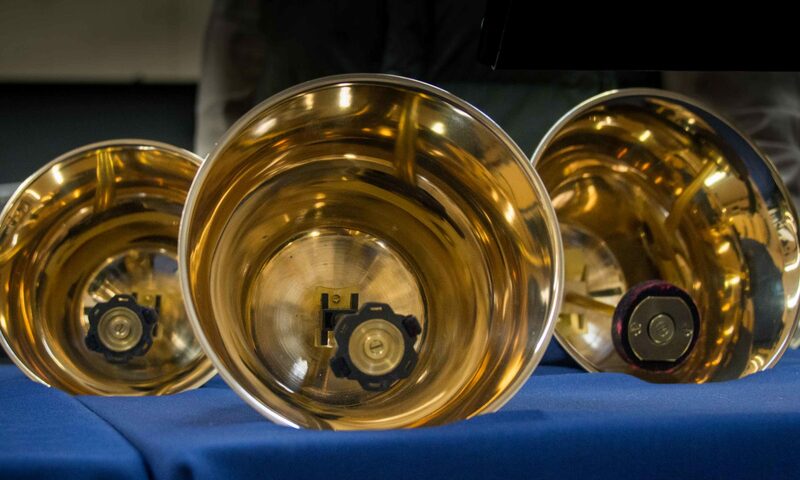 The fund provides one full award of the registration for Coppers Classic to a Full-Time Student attendee residing in Area 10.
a) are current members of Handbell Musicians of America and who reside in Area 10. Applicants must hold a personal Handbell Musician or Full Time Student membership to Handbell Musicians of America. b) submit their application postmarked no later than the posted deadline for application. 2. Applicants will be notified within two (2) weeks of the application deadline. 3. The amount of the scholarship shall be equal to the amount of the registration cost for the event plus a $50 stipend for music purchase. 4. Scholarship recipients are responsible for their own travel, lodging, meals, incidental expenses and any additional fees for the event not covered by the base registration fee. 5. Recipients are expected to submit a brief follow-up report of their experience at the event. This report may be used by Area 10 to promote the scholarship program. 6. Funds for awards will be forwarded directly to the event registrar or Area Treasurer on behalf of the recipient. No funds will be paid directly to the recipient. 7. Members of the Area 10 Board of Directors, the Scholarship Committee and their immediate family members shall be ineligible for scholarship awards during their term of office. Mail in and online applications will be available soon!